The Waterless™ DX Geothermal system is one of the most advanced geothermal systems on the market that can offer you many benefits. A Waterless™ DX Geothermal system operates solely off of electricity and can eliminate the need for fossil fuels like oil propane, and gas. The combination of it’s advanced technology combined with the simplicity of it’s design will allow you to enjoy the many comforts and cost saving benefits associated with geothermal today. Direct Exchange (DX) geothermal systems stand out from the crowd as one of the most efficient and durable geothermal systems available. By using copper ground loops and reducing the number of heat transfers, Waterless™ DX Geothermal system can provide you with many benefits! Waterless™ DX Geothermal Systems offer 100% heating and cooling capacities through our single heat exchanger technology (the ground.) This results in you using less electricity and significant savings over other geothermal systems. On top of saving you money with your heating and cooling bills, the brilliantly-designed Waterless™ DX Geothermal system can provide free hot water to your home. If you choose to select the optional hot water generator, the system can produce free hot water at the same time it is heating or cooling your home. Depending on which hot water option you chose the system is capable of providing 50% of your hot water or as much as 100% of your hot water needs for your home or business. 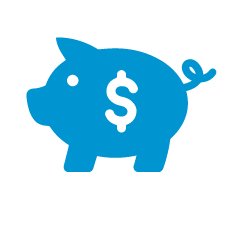 Combine this with your home’s yearly heating and cooling savings and you will experience a shorter system payback and affordable heating & cooling that you’ve never experienced before. Waterless™ DX Geothermal units are fully enclosed and protected from outdoor elements. With no outdoor fan and an insulated and enclosed cabinet units can be installed indoors in a utility room, garage, or basement, and operate with little to no noise. This quiet & simple design allows you to keep your yard free of an unsightly outdoor unit, while enhancing the look and design of your house. Additionally, the electrical controls and heat exchangers are kept safely inside the insulated cabinet from harmful outdoor weather conditions allowing you to boost the lifespan of your system. Waterless™ DX Geothermal technology was created with simplicity in mind. The system itself is created with less parts than any other system on the market. It heats and cools your home without using any water related pumps or parts. The systems simplicity and reliability can mean a longer life of the unit and potentially less maintenance costs. 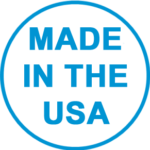 Proudly made in the USA, Total Green Manufacturing is dedicated to designing reliable and efficient products for its customers. Each system is manufactured with a focus on quality design and craftsmanship. More and more people are recognizing green building practices, like Direct Exchange (DX) geothermal systems, Not only are they able to save you energy and lower utility bills but they are gentle to the environment while increasing the value of your home. As homeowners are recognizing these benefits, they are seeking out homes and businesses that offer sustainable energy systems like geothermal systems. Additionally, installing a geothermal system provides real estate appraisers with the means to document these energy efficient upgrades. Enabling them to increase the value of green homes compared to traditional properties. Because Waterless™ DX Geothermal systems use the energy stored within the earth, you can reduce your need for natural gas or oil and other forms of fossil fuel resources. This saves thousands of pounds of greenhouse gas emissions every year and will decrease the carbon footprint associated with your home. Both the U.S. EPA and DOE have said that ground source heat pumps reduce consumption and corresponding emissions up to 75 percent and have the lowest environmental impact of all heating systems. DX geothermal systems are some of the most comfortable options on the market, with the unrivaled humidity removal process. A Waterless™ DX Geothermal system will take a large volume of humidity out of your home contributing to a healthier lifestyle and improved indoor air quality for you, your family, and your belongings. A Waterless™ DX Geothermal systems installation only requires a small amount of yard, and can be installed in new or existing homes, regardless of property size. With multiple loop designs available you’ll be sure to find a design to fit your home and property. With so many different ground loops configurations you gain the flexibility to install a DX geothermal system on nearly any size property. And in the case of a diagonal loop design it can be installed in a space as little as a 3’ diameter circle, allowing it to be installed even in urban settings. Since the outdoor heat exchanger is placed underground, there is no equipment visible from outside your property. You can take advantage of many federal, state, and local incentives and rebates by installing Waterless™ Geothermal in your home. 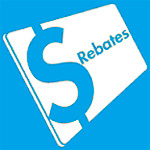 Click here to learn more about available incentives.